The people who organized the Jandek show happening this Saturday, July 21st at the Rose Marine Theater in Ft. Worth were nice enough to hook us up with a pair of tickets to give away to you guys, and since we already got our tickets, I guess one of you can have these. 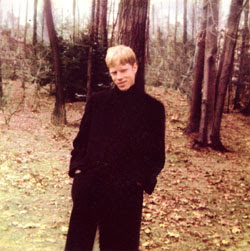 So, if you'd like to go to the Jandek show this Saturday (starts at 730pm sharp), email us at weshotjrtix@yahoo.com any time between now and Wednesday at 4pm with "Jandek" in the subject line. Please state your full name as well. And because someone asked, I thought I should tell you that everyone is eligible to win these contests. We actually do choose the winner randomly, so whether or not you are in a band that we either like or dislike has NOTHING TO DO with whether or not you're going to win. Promise. i listened to a jandek album one time. if we win do we get to have an anonymous sexual encounter with the author of this post?